"What's 'Oops?' Don't Say 'Oops!'" Cracking Down on "Irregular Exorcisms"
Higgs Boson Research Won't "End the Universe"
I gave the following presentation, "Ministering Angels: The Solomonic Roots of Enochian Magick" at the MNCON Midwest Ordo Tempi Orientis Convention on August 23, 2014. I had submitted it to two previous conferences, but I guess the third time was a charm. 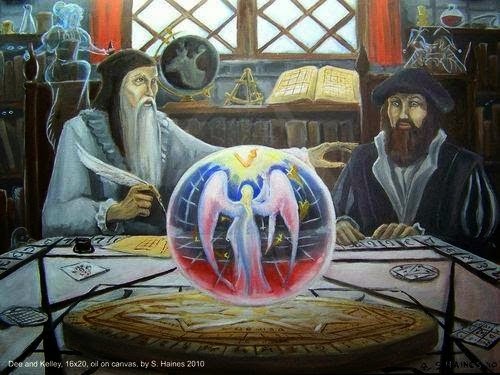 The Enochian magical system of John Dee and Edward Kelly has inspired many modern esoteric groups, including the various Golden Dawn traditions, Aleister Crowley's A.'.A. '., and the Aurum Solis. However, much of the Enochian lore developed by these diverse groups is not drawn from and in some cases directly contradicts the source material. 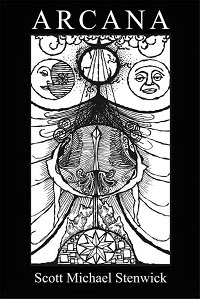 A more accurate perspective on the original diaries may be found by approaching the system as an advanced form of Solomonic grimoire magic instead of viewing it through the lens of nineteenth-century Hermetic Qabalah. 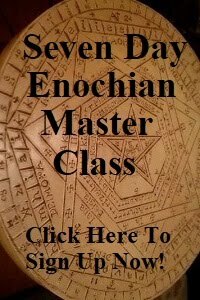 I have found that approaching the Enochian system in this way, as outlined in my two published books, Mastering the Mystical Heptarchy and Mastering the Great Table, yields a highly effective system of practical magick. 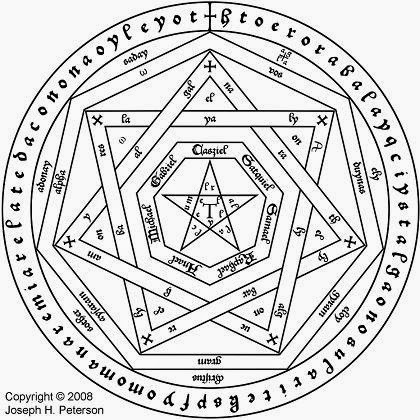 Enochian magick as practiced today can roughly be broken into two camps, generally described as “Dee-Purist” and “Neo-Enochian.” Variations on these terms have been floating around online for some time, and were recently formalized in Aaron Leitch’s The Essential Enochian Grimoire. “Dee-Purist” refers to working the system using only elements drawn directly from the work of Dee and Kelly, without adding any modern ceremonial forms or structures. “Neo-Enochian” refers the more elaborate modern systems such as those used by the Golden Dawn and Aleister Crowley. These two versions of the system incorporate extensive attributions derived from the Golden Dawn Concourse of Forces and employ ceremonial forms such as pentagram and hexagram rituals. While constructing a system that combines the two camps would constitute a supreme achievement in the development of Enochian magick, doing so is extremely difficult because the two systems of attributions contradict each other in many places. Much of the Golden Dawn material is derived from the “element-of-element” structure that comes not from the Dee diaries, but rather the Treatise on Angel Magic published around 1700 by Peter Smart and attributed to one “Doctor Rudd.” This text is a highly synthetic work that sought to combine the various systems of magick in use at the time into a coherent whole, much as the Golden Dawn system attempted to do nearly two hundred years later. But as the Golden Dawn system is thus essentially an abstraction built upon an earlier abstraction, it is no surprise that many of Dee’s original attributions were lost in the process. According to Egil Asprem’s Arguing With Angels: Enochian Magic and Modern Occulture, the biases of modern magicians also influenced the elements of the Enochian system that were disseminated to the public. Apparently the Golden Dawn did preserve the original Dee attributions in a text called Book H, but when Israel Regardie assembled The Golden Dawn for publication he left the text out because he felt it bore too close a resemblance to Renaissance magical methods. Also according to Asprem, when Crowley made a study of the original Enochian material he apparently found it quite underwhelming that in the Dee-Purist system the main function of the Aires or Aethyrs was to control the mundane circumstances of countries and influence their leaders. So instead, Crowley decided to put forth a model of Aethyr work that emphasized scrying and spiritual illumination, which became part of the Neo-Enochian system. My Enochian work began in the early 1990’s as an attempt to reconcile the two camps, but what I wound up with is a system that is mostly Dee-Purist in terms of the attributions of the various angels and regions of the universe. The remnants of my attempts to merge the systems are found in the components of my published ritual templates labeled as “optional” – pentagram rituals, hexagram rituals, and so forth. These templates also include some of my own experimental methods for combining pieces from the Dee diaries in ways that I have personally found highly effective. So my system is Neo-Enochian in the sense that it adds some modern and experimental techniques, but at the same time very little in in it agrees with the Golden Dawn attributions. Perhaps it deserves its own term, such as “Meso-Enochian” or something similar. Whatever term I eventually wind up adopting, Enochian magick as I practice it is grounded in the Dee diaries. These are in turn heavily influenced by the Solomonic magical tradition of the Renaissance. This tradition includes most of the grimoires in use during the sixteenth century, and is so called because many of these texts explicitly named Solomon as their supposed author. According to Biblical folklore, King Solomon of Israel was granted the gift of wisdom by God and went on to conjure and command spirits, and while there is no historical evidence that any of the grimoires are that ancient, the metaphor of is a potent one. The story of Solomon outlines the basic framework of Solomonic magick, in which the practitioner first identifies him or herself with God to take on the wisdom and power of the deity, and then by that authority proceeds to conjure and command both angels and demons. This essentially theurgic component distinguishes Solomonic magick from the many indigenous traditions described by anthropologists as shamanic. A shamanic practitioner employs trance and ritual to contact various spirits, much like the grimoire magician. However, generally speaking he or she does not stand in the place of God in order to command them and relies instead on relationships with those spirits built up over time. Even though I and many other grimoire magicians have found that building such relationships with spirits can be highly effective, as it is much easier to work with a friendly spirit than a hostile one, it is important to keep in mind the power differential imposed by grimoire methods. I will also state that having followed this advice for many years and having built up relationships with the spirits, I have yet to find cause to impose any sort of curse upon them. They return the treatment they receive, and will respect you if you in turn show respect for their individual powers and perspectives. It is no different than managing people in a professional environment; the best bosses are those who treat their employees well and give them room to shine. The difference between shamanic practice and grimoire magick constitutes an ongoing debate in the ceremonial community. “Shamanism” itself is problematic, as the term has been applied to all sorts of indigenous spiritual practices that only superficially resemble each other. Therefore, any generalization is likely to have many exceptions and do little justice to the specific cultures and techniques that the term is being used to describe. 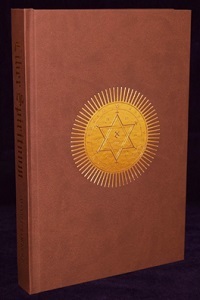 In Modern Grimoire Magick: Folk Magick and The Solomonic Path published in The Journal of the Western Mystery Tradition, Aaron Leitch documents how many other systems, including Hoodoo, American hexcraft, and traditional African religions have borrowed components such as spirit names and sigils from the Solomonic grimoires. However, as anyone familiar with modern eclecticism can attest, the simple act of borrowing does not necessarily imply that the borrowed components are used in the same way. 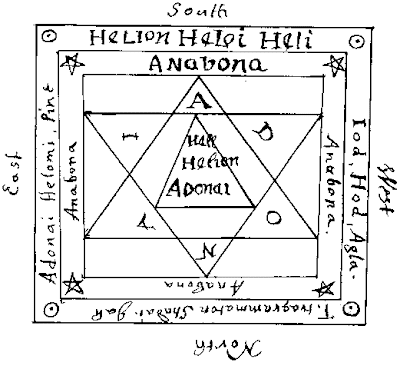 The two most obvious Solomonic influences on Enochian magick are the Almadel, which employs a square wax “Table of Art” with a similar design to Dee’s Holy Table, and the Sworn Book of Honorius, which includes a seal with a lineal design similar to Dee’s Sigillum Dei Aemeth. The angels, in fact, referred to the Sworn Book by name as a source for the design of the Sigillum, and then filled in a different set of names around the various figures. Both the Enochian system and the Almadel also employ a scrying crystal, placed in the center of the table for viewing the spirits when they arrive, a method which in turn was likely adapted from The Art of Drawing Spirits Into Crystals by Trithemius. Most of the components of the basic Enochian temple setup are similar to those found in the Sworn Book and the Almadel. The Almadel’s Table of Art is made from wax in the form of a square supported by four cylindrical candles. The Sworn Book’s seal is drawn onto parchment using the blood of particular animals. 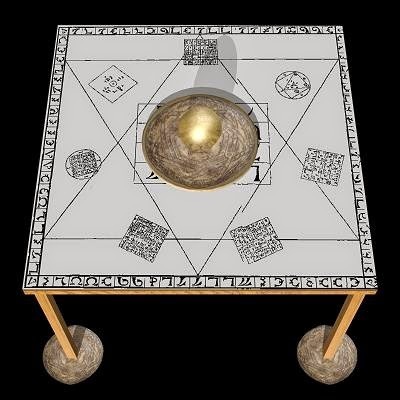 Dee’s Holy Table is a square wooden table supported by four legs, with the Sigillum Dei Aemeth drawn onto wax and placed in the center and each of the four legs then resting on smaller wax copies. So the Table becomes wood and the Sigillum becomes wax, with parchment reserved for Dee's lamen and seals of the spirits. To these components Dee adds seven planetary talismans called the Ensigns of Creation arranged around the Sigillum, and a silk altar cloth placed between the table and the crystal. Beyond these superficial similarities, the entire approach of the system revealed to Dee differs greatly from how many modern magicians use the Neo-Enochian system and has much more in common with Renaissance methods. Rather than focusing on personal illumination or expansion of consciousness, the system of magick that Dee and Kelly received during their angelic conversations was all about getting practical work done. While there is nothing wrong with employing the Enochian system as a vehicle for scrying, or engaging in complex analysis of its linguistics and gematric relationships, I have yet to see anything very generally applicable emerge from those methods. It is not that I find material obtained in this way useless, but rather it tends to be so specific to the individual practitioner or group that it is hard for me to find much meaning and insight in the accounts of others. Figure 1. The Almadel, showing the four candles supporting the Table of Art and crystal. Figure 2. Top of the Almadel, rendered by Joseph Peterson. This design cannot be seen clearly in the first image, but it is etched into the wax top of the Table of Art on which the crystal sits. Figure 3. Seal from the Sworn Book of Honorius, rendered by Joseph Peterson. Figure 4. Dee’s Holy Table, without the altar cloth to show the legs, Sigillum, and Ensigns. As you can see in Figure 4, the table with four distinct legs has a similar structure to that of the Almadel, and the crystal is placed in the center. In addition, the figure of a hexagram is prominently displayed, bordered by letters. While not identical, it suggests the same basic shape as the Almadel’s Table of Art. Figure 5. 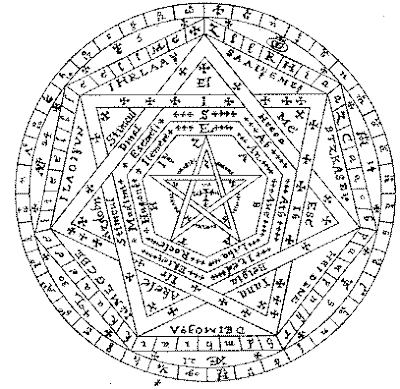 Dee’s Sigillum Dei Aemeth, rendered by Joseph Peterson. 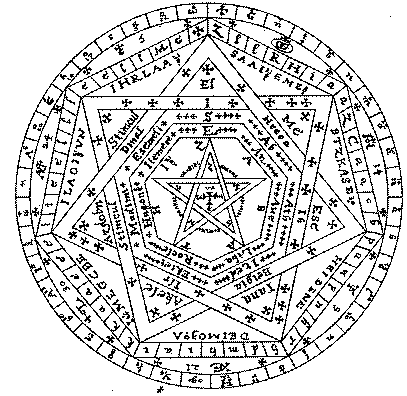 Likewise, the Sigillum Dei Aemeth shown in Figure 5 is clearly based on the seal from the Sworn Book. The Sigillum is made from wax, just like the Almadel’s Table of Art. A version of the Sigillum nine inches in diameter is placed in the center of Dee’s Holy Table, while four smaller versions half that size support each of the four legs as shown in Figure 4. 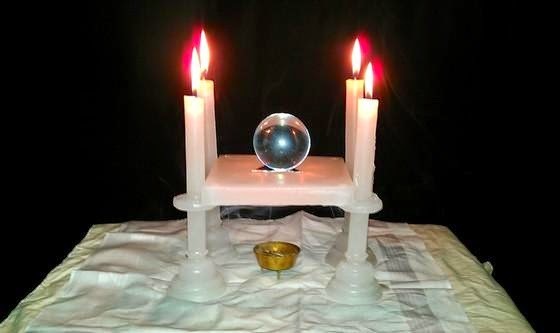 Part of the appeal of grimoire methods is their practicality, but it should also be noted that there is nothing about modern techniques that require a wholly psychological model of magick or stand in the way of practical work. In Liber O vel Manus et Saggittae Crowley leaves open the possibility of a psychological interpretation, but he nonetheless still contends that work with the spirits goes better if they are treated as if they have their own independent existence. The Solomonic system simply codifies this practice by treating the spirits evoked as objective. This is the worldview into which Dee and Kelly received the Enochian material, and in my experience it is also the most effective way to work with the various entities that Dee’s system describes. At its most simple, Solomonic magick consists of the following basic steps. 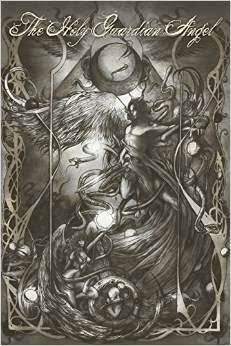 (1)A period of preparatory spiritual practice preceding the operation itself that prepares the magician for the work. 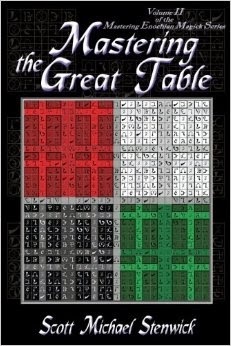 This can include daily prayer, meditation, bathing, fasting, and so forth depending upon the specific grimoire employed. (2)Arranging the place of working for the operation. This usually involves some sort of magical circle and “Table of Art” onto which a crystal or scrying mirror is placed. Generally speaking, if the table is placed within the circle a crystal is used, while if it is placed outside the circle a larger scrying mirror is employed. (3)Initial prayers of purification and consecration, which serve to prepare the operator and open the temple. This represents the start of the operation and is also usually done at a particular time, such as an appropriate planetary day and/or hour. (4)The preliminary invocation, in which the operator calls upon and identifies with God in order to obtain authority to conjure the spirits. The Medieval and early Renaissance grimoires were grounded in the Christian tradition of the time, and presumed a monotheistic Abrahamic worldview. Thus, it was necessary to call upon the Christian God in order to command spirits of whatever sort, whether they be demons or angels. (5)The formal conjuration, which calls upon the particular spirit desired. This usually incorporates a sigil specific to the spirit, the spirit’s name, and a controlling name by which the spirit is called. In some cases these names are drawn from elaborate hierarchies that follow structures such as the Qabalistic worlds. In other cases, the controlling name used is the name of Jesus or one of the names of the Christian God drawn from Hermetic Qabalah. (6)The charge to, or communication with, the spirit. Magical operations may be roughly grouped into these two classes. Either the magician conjures the spirit in order to obtain information, or he or she conjures the spirit in order to accomplish some specific objective. Some cases can blur the line between the two, such as when building a relationship or forming a connection of some sort with the spirit, or when seeking a spiritual rather than a material objective. (7)The license to depart, in which the spirit is released from the temple, either to simply go in peace or to do its appointed work in the macrocosmic universe. (8)Closing the temple. This may consist of some sort of closing prayer giving thanks to God, or of simply taking down the circle and so forth. After only a few years of working with the Enochian system from Neo-Enochian texts like Liber Chanokh and Dee-Purist sources like Geoffrey James’ Enochian Evocation, it became clear to me that the order above represents the most authentic way to approach the Enochian system, and my Enochian books are structured along the same lines. At the same time, I’m not a strict purist but rather an experimentalist. 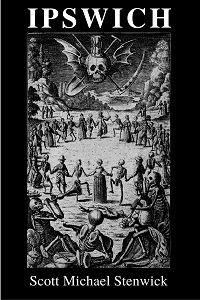 Some of the techniques I outline in my books are thoroughly modern, such as the use of pentagram and hexagram rituals which Renaissance magicians would barely recognize. I mark those steps as “optional” in my ritual templates so that strict purists can skip them, but they do represent how I have personally found the magick to work best. It should be noted that the above outline is not necessarily specific to Enochian work pursued along Solomonic lines. 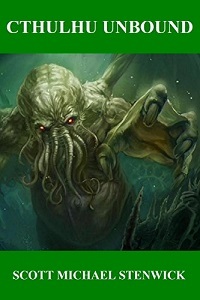 It may be applied to any of the old grimoires, keeping in mind the idiosyncrasies of the individual texts and adjusting the template accordingly. For example, grimoires such as The Book of the Sacred Magic of Abramelin the Mage are designed as guides to a long series of rites that culminate in contact with a particular entity such as the Holy Guardian Angel. Others, like the Key of Solomon and the Lemegeton, seem to be constructed to support shorter, individual rites that are performed in order to achieve particular goals. The operation recommended to Dee and Kelly was in fact of the former type, but I and many other modern Enochian magicians employ the system in the latter fashion. (1) Preparatory Work: The old grimoires were for the most part intended to be used by individuals with no history of spiritual practice who wished to take up the magical arts. The only exceptions are those that were clearly designed for use by members of the clergy, who would have had varying degrees of experience with contemplative practices. Prior to the Renaissance, the idea that any individual would have a whole library of grimoires like many modern magicians do would have been unthinkable. Even in places such as monasteries that had libraries of books, magick was officially heretical and the related texts most likely would have been hidden rather than placed on a shelf. So the preliminary practices of prayers, purification, and so forth were designed to start a would-be magician down the path of regular daily practice. Joseph Lisiewski has argued that the sort of daily practices used by modern magicians have no bearing on the success of grimoire operations, but I have found in my own work that the opposite is true. When I measure the probability shifts produced by my work, the more regular my practice has been leading up to it the better I do. Furthermore, Lisiewski is pretty much on his own in this regard. In a recent Facebook discussion of the Abramelin working, Aaron Leitch pointed out that the Abramelin ritual itself is only seven days long, with the rest of the instructions in the grimoire consisting of preparatory work. This implies that in theory, a magician who was already suitably prepared for the operation could go ahead and accomplish it in a short period of time. While it was also pointed out in the same discussion that such a magician may not be as prepared as he or she believes and that the most reliable way to achieve contact with the proper entity is to follow the text faithfully, the idea that daily practice is somehow irrelevant to the “old magick” is not widely held. I suspect that is because it simply does not stand up to most magicians’ experiences. Dee and Kelly were not given the elaborate purification regimen that many of the other grimoires recommend. They were instructed to spend three days performing daily prayers and spend the next fourteen on the conjurations, Angelic Keys, and so forth, a far cry from the 6 or 18 months required by Abramelin (depending upon the source text). The angels also noted that theirs was “not an art of many days,” which implies that Dee was familiar with longer operations drawn from other texts. This may not represent a “minimum” amount of effort for the system, as the angels were addressing Dee and Kelly after years of spirit sessions, so my recommendation to anyone who wishes to make use of the Enochian system is to keep up their regular daily practices. This is true even if the practices in question are not explicitly Enochian; my usual sequence includes basics like pentagram and hexagram rituals, and they still support my Enochian work. (2) The Place of Working: The Enochian temple setup is well-known, involving the Holy Table, Sigillum Dei Aemeth, and Ensigns of Creation as depicted in Figure 4 for the central altar and a circle of colored banners surrounding the temple. The banners were received after the Heptarchial material and are not necessary for working with the Kings and Princes of the Heptarchia Mystica, but they are proper for working with the Great Table and Aires. They may be left in place for Heptarchial operations, as the focus of such work is generally the Holy Table itself. Likewise, while some Neo-Enochian practitioners do not use the Holy Table with entities of the Great Table and Aires, Dee and Kelly were never told to discard it and therefore I use it in all my operations, not just those pertaining to the Heptarchia Mystica. (3) The Initial Prayers: The foundational preparatory prayer for Enochian operations is a revealed text that Dee called the Prayer of Enoch, which can be found in the diaries from which Meric Causaubon’s True and Faithful Relation was compiled. It is less explicitly Christian than Dee’s preliminary invocations and conjurations, and as a revealed text I employ it as written to begin any Enochian operation. Portions of this prayer read as self-deprecating, but I am of the opinion that these statements perform a similar function to those found in some of Crowley’s rituals, such as the Confession from the Invocation of Horus. As in that ritual, the counterpoint in which the magician identifies with the divine immediately follows in the form of the preliminary invocation. When working with a timing system such as planetary hours, the moment this prayer begins should be considered the start of the operation. This is even if you only have a few minutes left on the hour that you really want. The Solomonic system is explicit about this: the moment that the operation begins sets the hour (and day) during which it occurs. Planetary timing is more important when working with the Kings and Princes of the Heptarchia Mystica than the rest of the Enochian system, as each King and Prince are specifically related to a particular day. Note that days in the Solomonic system follow the Chaldean Order in which they begin at sunrise rather than midnight. (4) The Preliminary Invocation: At the beginning of this step is where I insert pentagram and hexagram rituals into my ritual procedure, either the Lesser Banishing Ritual of the Pentagram followed by the Lesser Invoking Ritual of the Hexagram, the Banishing Star Ruby followed by the Invoking Star Sapphire, or my own original Aoievea and Madriax rituals, found in my books. The combination of a banishing pentagram and invoking hexagram ritual is a method that I call the operant field. I employ it for all my practical magical work. The idea behind it is simple – as the pentagram represents the microcosm and the hexagram the macrocosm, banishing microcosmic thought-forms and invoking macrocosmic ones to take their place creates a space of working in which the two realms interlock. This allows for more powerful practical operations than the usual practice of combining a banishing pentagram ritual with a banishing hexagram ritual. Back in 2011 the late Donald Michael Kraig took issue with these recommendations regarding the pentagram and hexagram rituals, which is not surprising as his book Modern Magick is where most people first learned that the Lesser Banishing Ritual of the Pentagram should always be followed by the Lesser Banishing Ritual of the Hexagram rather than the invoking form. His recommendation was that instead, the LBRP/LBRH should be followed by Israel Regardie’s Opening by Watchtower to bring in the invoking components. I have tried that sequence myself, and as far as I can tell it works no better than the LBRP/LIRH combination and is longer and more elaborate. But I invite anyone who might be wondering to try out both methods and see for themselves which one works the best. Your experience might be different from mine. Dee provides two preliminary invocations for Enochian work. The first is called the Oration to God and is used for Heptarchial operations. The second is called the Fundamental Obeisance and is used for working with the entities of the Great Table and Aires. They are both extremely Christian in nature, and in my books I include streamlined versions more suitable for Thelemic and general ceremonial practitioners. The originals, though, show the particular Christian character of the Enochian work and highlight its similarities with other grimoires of the Solomonic tradition. Another consideration at this step that is not touched on by the old grimoires is energy work. Methods such as the Middle Pillar, the Elevenfold Seal from Liber Reguli, or my original Naz Olpirt Enochian energy work exercise may be employed here to increase the identification with the divine and, in effect, boost the “transmission” that you will be using to call the spirits. I have found that employing such techniques here improves the clarity of the manifested spirit as well as the probability shift produced by practical operations. (5) The Formal Conjuration: Every grimoire has its own set of conjurations. In the Enochian system, a single English conjuration is used for each of the seven Kings and seven Princes of the Heptarchia Mystica. For the entities of the Watchtowers eighteen “keys” written in the angelic language are employed in addition to English conjurations, and for those of the Aires thirty variations of the nineteenth or Aethyr key are used. The English conjurations were written by Dee, so it would not violate the tenets of the Dee-Purist system for the magician to write his or her own. However, in my books I include edited versions of Dee’s. These may be used as written, or serve as a template for new ones. The Keys are a unique element of the Enochian system. While all the grimoires include conjurations, these invocations supposedly written in the language of the angels themselves are not found anywhere else in the Solomonic tradition. My usual practice is to recite the Key in Angelic followed by English. The Angelic version issues a call to the associated region of the spiritual universe and the English then anchors that region within my mind. The system I outline in my books attributes the first eighteen keys differently than the Golden Dawn “element-of-element” method does. Rather, mine is based on the position of the sixteen Watchtower sub-quadrants rather than their associated elements. The formal English conjurations follow all of the Keys. At one point I experimented with performing the Key and the conjuration for a direction together, but found that method to be unwieldy. It works better to make one trip around the Holy Table for the Keys and another for the conjurations when calling upon entities from multiple directions. This is another big difference between Dee-Purist and Neo-Enochian, that generally speaking Dee’s conjurations are structured to summon whole classes of entities from multiple directions at once. This is less obvious in the Heptarchia Mystica, but even there when you conjure a King you also get the Prince and the Ministers, and when you conjure a Prince you also get the Ministers. (6) The Charge and/or Communication: Enochian entities are famous for conversing with magicians, going back to Dee and Kelly’s original sessions that lasted for seven years. Many Neo-Enochian magicans adopt the same method of working, primarily using the system to seek information from the spirits. 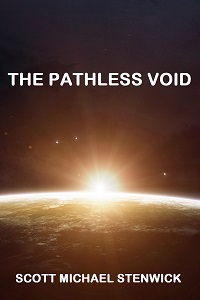 Over time, this method can be effective in terms of building up relationships with particular entities and gaining insight into the metaphysical structure of the universe. However, it should be kept in mind that the original powers and abilities of the spirits were wholly practical in nature. In some cases these powers involve obtaining knowledge regarding particular technical subjects, but much of the time they relate to the manipulation of physical events. I have wondered about the conjuration of the Heptarchical Prince for Tuesday, Befafes, ever since I first read it in Geoffrey James’ book twenty or so years ago. It is much longer than that for the other Kings and Princes, and is the only case in which Dee’s conjuration seems to refer to events that affected him personally. Dee split with Kelly in 1587 and the grimoire form of the Heptarchia Mystica was compiled in 1588. Befafes’ powers are related to things like reducing the numbers of enemy ships, and Dee includes the statement that “you were with me in extremis” to his particular conjuration. So it would seem that Befafes was an entity that Dee conjured and worked with personally, which contradicts the notion that Dee never tried to use Enochian magick for any practical purpose. As I speculate in the conclusion of Mastering the Mystical Heptarchy, the other event that happened in 1588 was the attack of the Spanish Armada, which was roundly defeated in part by a series of freak weather events. The English ships were better able to handle the unusually erratic winds that accompanied the initial assault and inflicted heavier than expected damage to the Spanish fleet. Then, the Spanish ships were driven north and encountered unusually severe storms as they attempted to sail around Scotland and Ireland and return to Spain. The storms further depleted their numbers, and Spain was unable to launch any subsequent attacks. So did John Dee summon Befafes to destroy the Spanish threat? Did he believe that the Prince had succeeded when the Armada was scattered, and subsequently amend his conjuration to that effect? 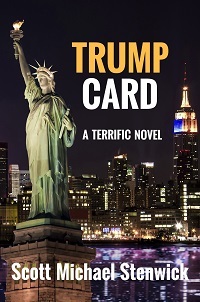 If so, this may be the first documented case in history in which a magical operation played an important role in geopolitical events. Had Spain conquered England in 1588 the world of today would look much different. And if Dee conjured Befafes to stop it, the Prince was certainly with him “in extremis.” Dee was a member of Elizabeth’s court, and had the Spanish succeeded he likely would have been executed along with the rest of them. When delivering a specific charge I have found one of the most important things to keep in mind is the use of injunctions and limitations. An injunction is what you want the spirit to do, and a limitation is what you don’t want the spirit to do. Most beginners get the injunction part right, as it’s easy to ask the spirits for stuff. What they forget is that unless they want to risk some potentially undesirable consequences, they need to rule out some conditions that might fit the letter of the charge but also produce some unforeseen negative effect. This is not because the spirits are deliberately twisting your words, but rather because magical probability shifts are like water. They always take the path of least resistance, unless some of those paths are explicitly ruled out by the magician. The classic example is to ask for a large amount of money without any limitations, and then receive an inheritance or settlement when a loved one unexpectedly dies, or when you are injured in a freak accident. The spirit may have done its work, but you should have placed a limitation on the charge specifying that no injury would come to you or your loved ones. The same can be said about damage to property and so forth. I have found that Enochian angels, especially the more intelligent ones, have a reasonable sense of what you really want when you present a charge to them, but miscommunications still happen. It is always better to be thorough. (7) The License to Depart: There is no formal license to depart specified in the Dee diaries. It is not clear that Dee did anything of the sort, even for his scrying sessions. I suspect this is part of what led to Kelly’s many protestations that the spirits were “moving in his head” and so forth. So I use a simple, generic license to depart in my own Enochian work that thanks the spirit for attending to the operation and formally releases it from the Holy Table. (8) Closing the Temple: Generally speaking, I leave my Enochian temple setup in place unless performing some other operation, so in terms of the grimoire procedure the license to depart denotes the end of the operation. Depending upon the nature of the operation, though, I will close with a banishing pentagram ritual to formally seal the operation, but never a banishing hexagram. The function of this final banishing is not to shut down the magical currents that have been set in motion in the macrocosmic universe, but rather to detach my own field of consciousness from the operation. As they were designed with this concept in mind, my Aoiveae and Madriax rituals “encapsulate” the rest of the operation for which they are employed. Therefore, when using them I do not repeat either, but rather simply conclude first the Madriax and then the Aoeveae. The essential point here is that banishing on the macrocosmic level with a hexagram ritual can shut down a probability shift in progress. I want to give the macrocosmic effects I send out time to work, rather than limit them to the duration of the rite itself. If you have never worked with the Enochian system along Solomonic lines I strongly suggest that you give it a try. The methods for the Heptarchial and Watchtower entities can be found in my books, in an easy-to-follow template that allows you to as many or as few modern techniques as you wish, depending on how true to the Dee-Purist school you want to be. The experimental approach that I take has served me well, and I have found that by adhering to the attributions of the original system revealed to Dee and Kelly my magical operations have become far more effective in terms of bringing about change in conformity with will. Thank you all for attending, and happy conjuring!